Rocky joined Centrant Community Capital in April 2018 in the newly-created role of Senior Vice President – Credit & Lending. 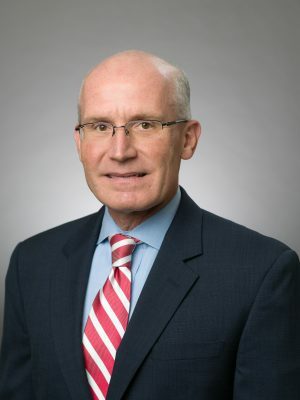 Prior to joining Centrant, Rocky was Executive Vice President of Four Oaks Fincorp, Inc. and Four Oaks Bank & Trust Company and Chief Credit Officer of Four Oaks Bank & Trust Company from March 2015 through February 2018. Prior to joining the company and the bank, he served as Chief Credit Officer and Executive Vice President of Premier Commercial Bank from August 2010 until March 2015. From 2008 until 2010, Mr. Herring served as Senior Credit Administration Manager of CommunityOne Bank and, from 2007 to 2008, he served as Senior Regional Risk Manager of RBC Bank. Prior to his employment with RBC Bank, Mr. Herring held positions at First National Bank and Trust Company and Central Carolina Bank. Throughout his career, Mr. Herring has served in various community and civic capacities, with organizations including Junior Achievement, United Way, Burlington Christian Academy, Junior Diabetes Research Fund, and NC Therapeutic Riding Center. He is a graduate of Duke University and RMA’s Advanced Commercial Lending School.